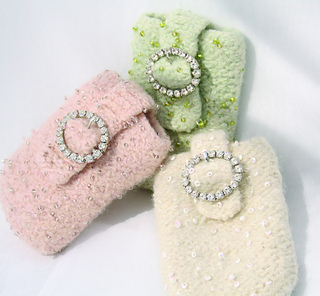 Make a glittering cell phone cover today! Knitted with Tilli Tomas beaded wool yarns in delectable sherbet colors, the fashionable cell covers feature a pretty Rhinestone encrusted buckle. And, the simple tab closure makes it easy to grab your ringing phone.